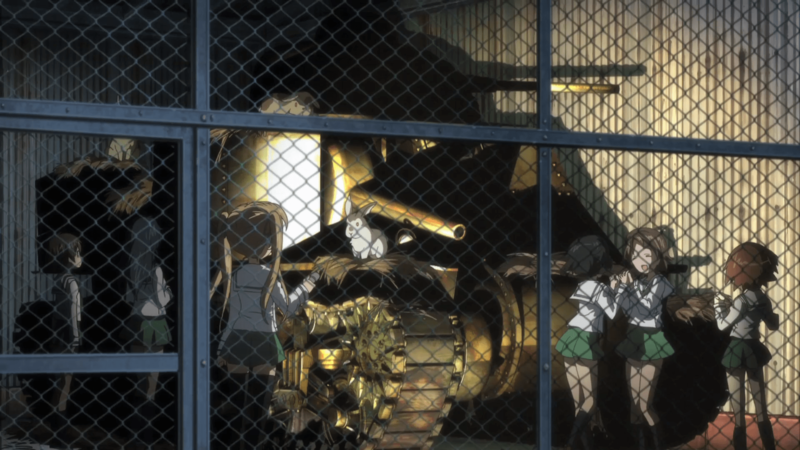 Girls und Panzer, Episode 2: Tanks, We Ride Them! 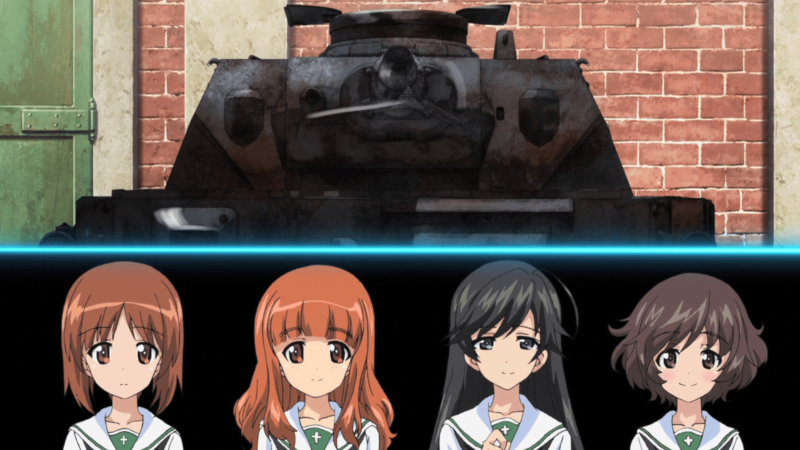 WARNING: The following post discusses spoilers from Girls und Panzer, Episode 2: “Tanks, We Ride Them!” If you do not wish to be spoiled, please stop reading now. You have been warned. 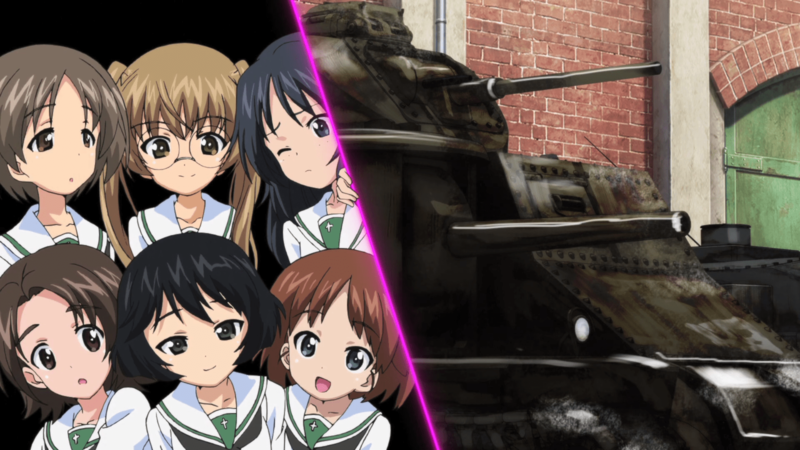 In episode 2 of Girls und Panzer, “Tanks, We Ride Them!,” we get to know Miho’s other classmates a little better. After appearing last week as non-speaking extras, this week, they finally speak, giving us a glimpse into their personalities. Foremost among them is Yukari Akiyama of Standard Class II, Second Year, Class Three. We saw her in the previous episode watching Miho, Saori, and Hana from a distance. Early in this episode, she’s watching them again from behind a tree. This time, Miho notices her and invites her to join them, surprising and delighting the timid girl. 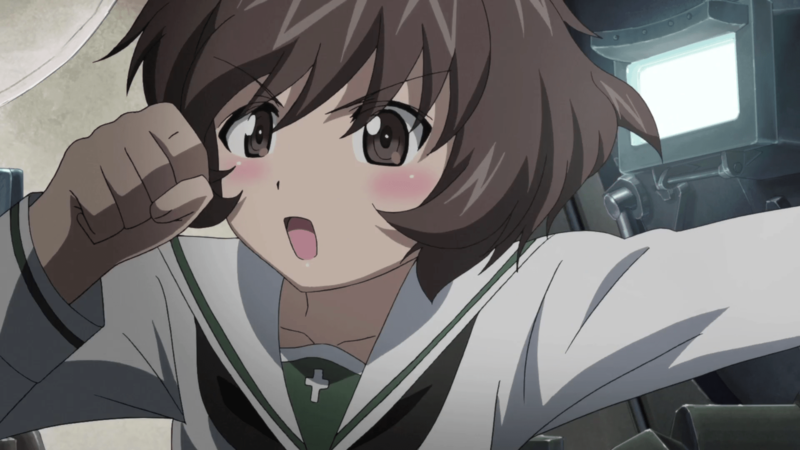 Yukari may seem like even more of a wallflower than Miho was, but mention tanks, and she’ll explode with excitement, talking rapidly, passionately, and knowledgably about them. The transformation is startling, possibly even autistic, as autistics similarly surge with enthusiasm when discussing their favorite topics. But it’s far too early to tell whether she’s autistic or just shy and obsessed with tanks, as there aren’t enough signs in this episode to determine which she is. Unusually, Yukari calls Miho “Nishizumi-dono.” According to my research, the honorific “-dono” is archaic and seldom used. Supposedly, it is equivalent to “milord” and “milady.” Within the military, it is supposedly equivalent to “sir.” Whatever the case, Yukari’s use of “-dono” with Miho means she respects her a lot. Another new classmate is Mako Reizei, an extremely gloomy and lethargic girl Miho runs into on her way to school. She limps to school every day, always late (two hundred forty-five times and counting) and always being berated by Sodoko, a strict, pitiless student gate guard. 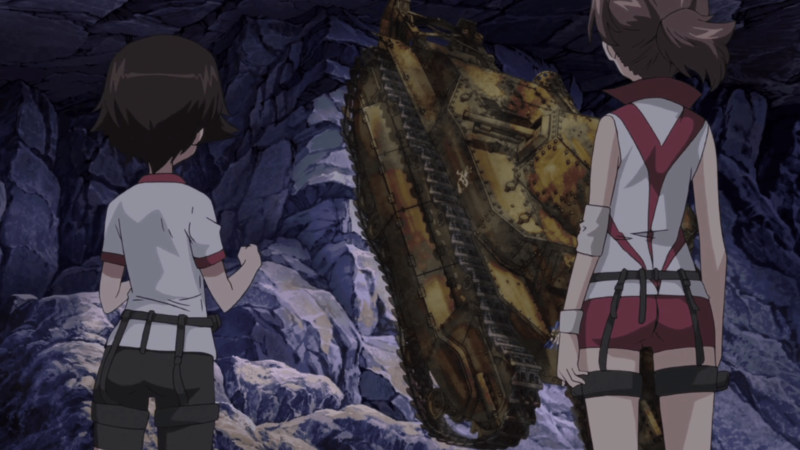 Mako’s first name is never uttered in this episode—she and her first name were actually introduced in episode 1’s flash-forward, in which she was driving Miho’s tank. The remaining classmates comprise three groups. The first group consists of four girls from the school’s disbanded volleyball club. They seem to believe victory in tankery will get the club and their honor back. They have steely resolves and seem prepared to win at any cost. I don’t like them—they’re too fierce, too competitive. The second group consists of four girls preoccupied with military history and tactics. They make many references to historical battles, maneuvers, and quotes, all of which I had to look up to understand. They are often scheming something or otherwise planning ahead. I find them difficult to read. The third group consists of what appear to be six younger students. Lacking the angst of the volleyball girls and the cunning of the military buffs, they come across as ordinary and carefree. They seem to work well together. They don’t seem to have an agenda. I like them—they’re adorable and guileless. 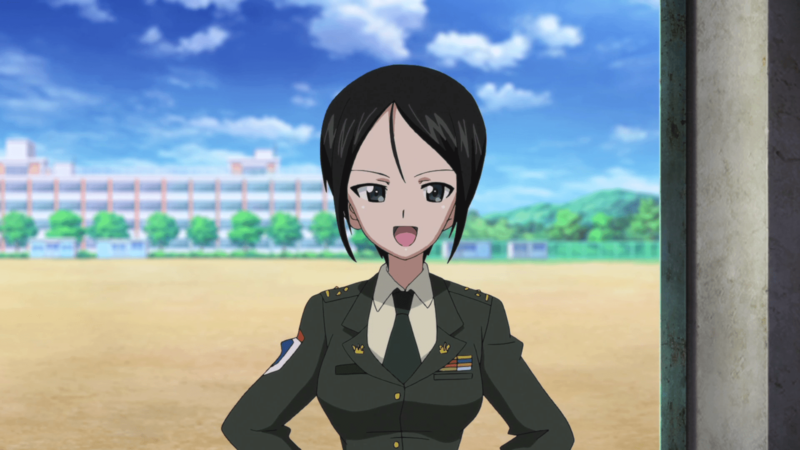 In episode 2, the tankery students finally meet their instructor: Captain Ami Chouno. I’m not sure what to make of her. In person, she seems nice and disciplined. In a tank, however, she’s rather reckless. She introduces herself by driving her tank off an airplane and onto the school parking lot, where she clumsily wrecks the headmaster’s car twice before finally stopping. With driving that bad, how in the world did she earn her rank and become an instructor?! 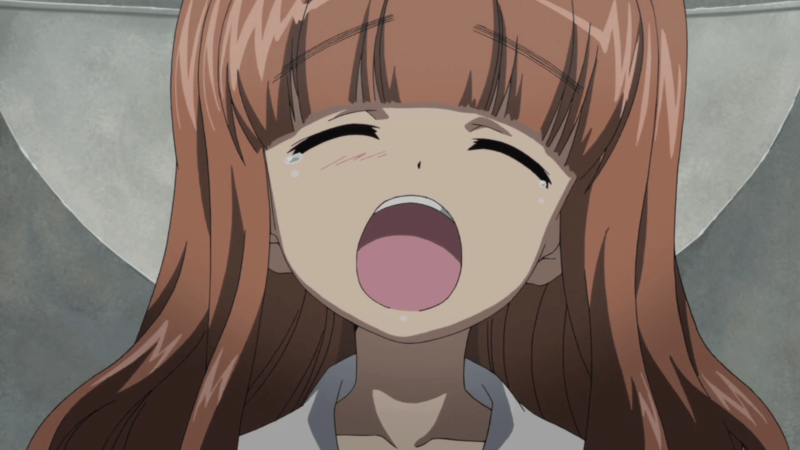 Episode 2 also introduces us briefly to Miho’s older sister Maho. A tankery MVP at her high school, Maho appears on television in an interview. When asked what her secret to tankery success is, she glares straight at the camera and coolly answers, “Never run away, no matter the situation.” It’s as if she knows Miho is watching. But what could Miho be running away from besides tankery? It sounds like she might be running from more than that. Not once during her appearance does Maho smile. Her expression is cold, joyless, even heartless. I think she’s disciplined all the humanity out of herself. What could have made her this way? I shudder to think what her mother—Miho’s mother—is like. 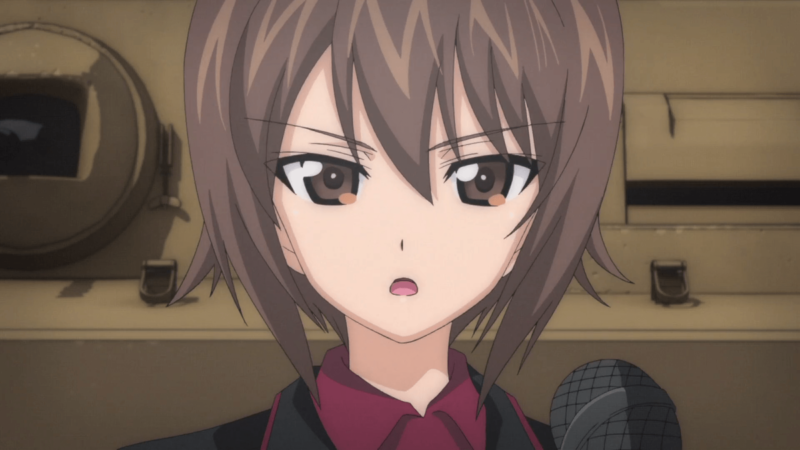 Speaking of whom, through Captain Chouno, we learn she runs Nishizumi School, a prestigious tankery school. I wonder how this will figure into Miho’s story. 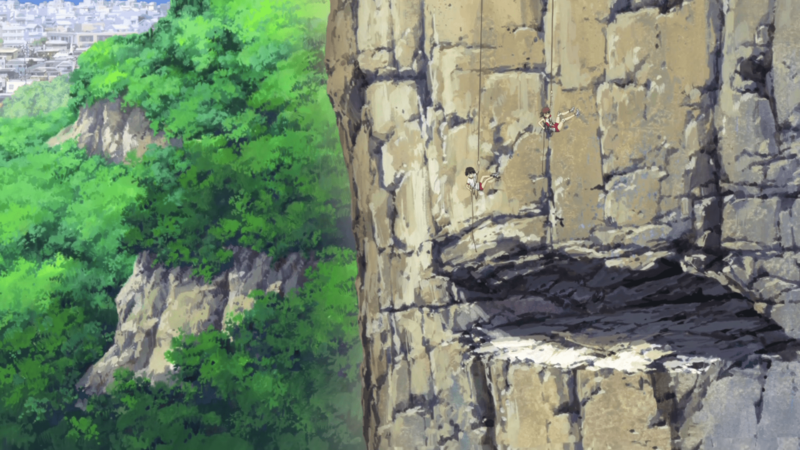 …and in a cave on the side of a cliff. Why did the school go through all this trouble just for a discontinued program? Why hide them at all, and in such hard-to-reach places? Why didn’t they just store them in garages like the tank in episode 1 was? Why didn’t they sell the tanks and make some money? It’s like the school wasn’t just discontinuing the program—it seems like they were trying to eradicate it. What could have happened to provoke such an extreme reaction? Unfortunately, through the six younger girls, we learn the school kept no records relating to the discontinuation of its tankery program, leaving the motivation behind it a mystery. This only makes it look even more like a cover-up. I speculated before that there could be a dark side to tankery. I believe this is more evidence to support that. 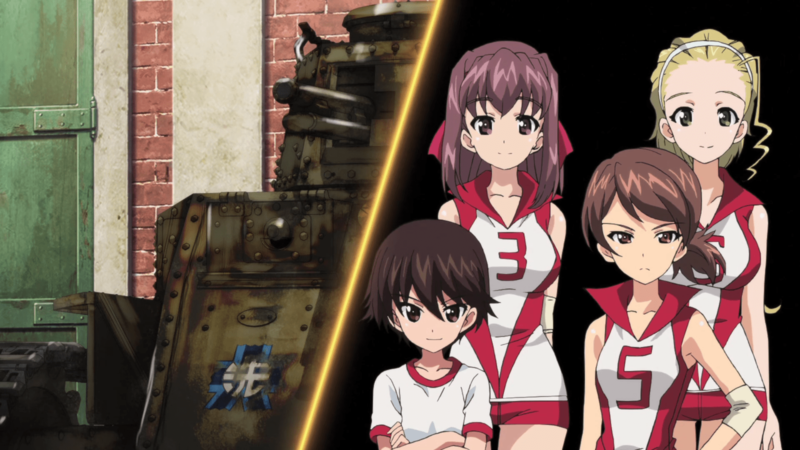 Episode 2 ends with the tankery students’ first mock battle, culminating in the volleyball girls and the military buffs ganging up on Miho, Saori, Hana, and Yukari’s tank. 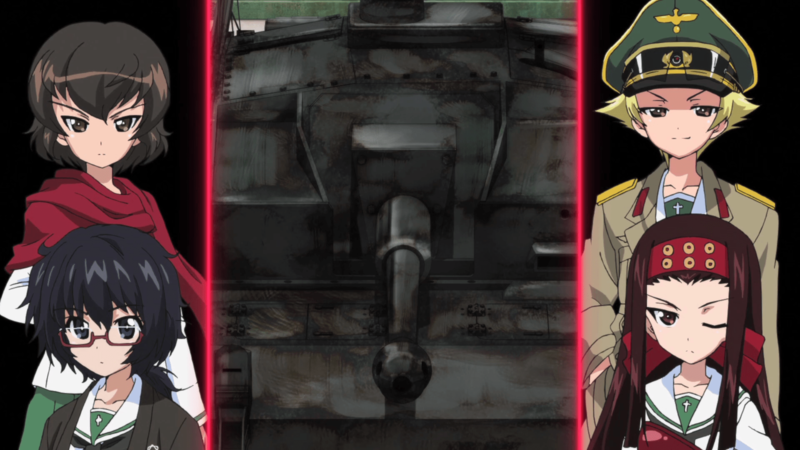 Saori and Hana seemed so eager to start tankery in the last episode; they seem far less eager now under live fire, especially Saori, who finds the experience frightening. 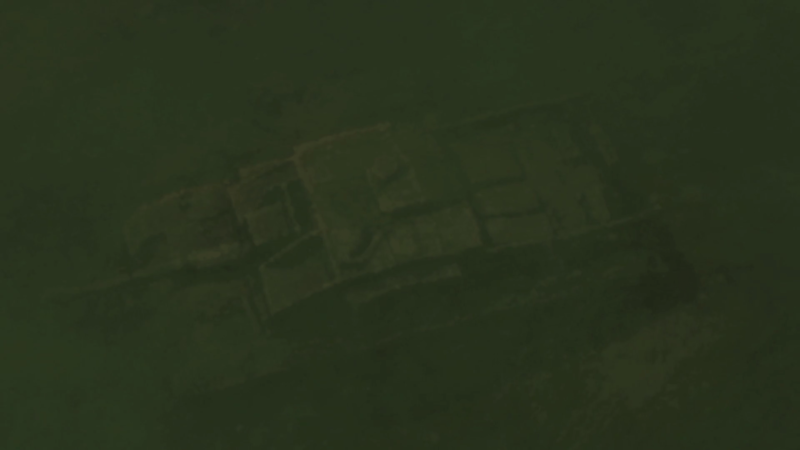 As they flee, they find their tank hurtling toward a sleeping Mako. 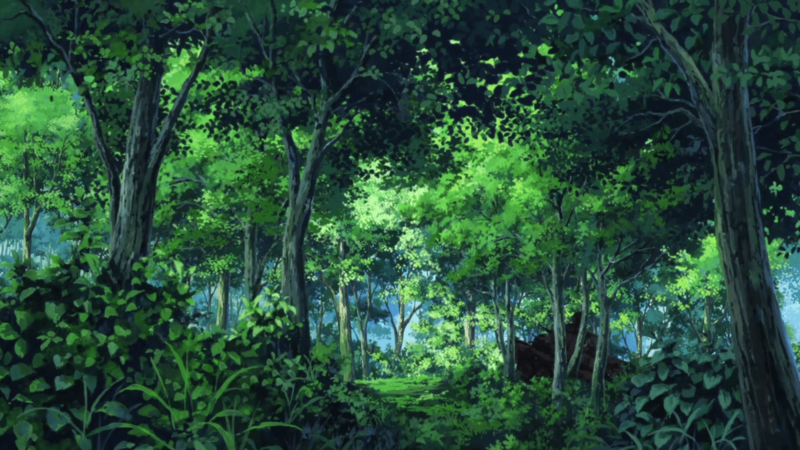 Here, the episode abruptly ends. I was pretty upset. A cliffhanger now?! I think I would have been able to live with it had the exercise began halfway or two-thirds of the way through the episode. Since it began in the last few minutes, however, the ending felt rushed, hollow, underdeveloped. I hope the structure of future episodes won’t be so uneven. 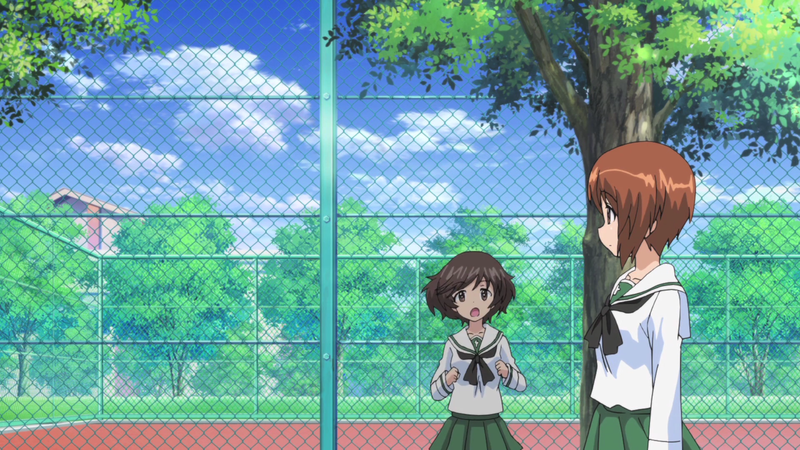 Girls und Panzer is currently streaming on Crunchyroll. New episodes air every Wednesday at 8 PM Pacific Daylight Time for premium users. Free users will gain access the week after. Next Post:The King of Fighters XIII Free for PS Plus Users for a Limited Time!